Virtual Programming has announced the release of four “Complete” editions of Paradox Entertainment strategy games — packs that include the original game along with expansions and sequels. They’re priced from $25 to $30 each, and are available exclusively as digital downloads. Europa Universalis 3 is a turn-based "Grand Strategy" game. Paradox specializes in turn-based strategy games, and VP has brought several of them to the Macintosh over the past few years. The four Complete packs include Europa Universalis Complete, a $30 package that includes Europa Universalis Complete, Victoria Complete, Crusader Kings Complete and Hearts of Iron 2 Complete. 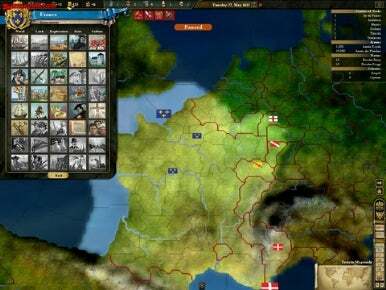 Europa Universalis 3 Complete comprises Europa Universalis 3, EU3: Napoleon’s Ambition and EU3: In Nomine. The games focus on exploration, trade, warfare, and diplomacy. Your goal is to lead a European nation towards supremacy as a global force during the age of empires. You can choose from more than 250 historically-accurate countries. Victoria Complete combines Victoria and Victoria Revolutions. These empire-building strategy games focus you attention on the British empire during the reign of one of their most powerful sovereigns, Queen Victoria. Crusader Kings Complete includes Crusader Kings and Crusader Kings Deus Vult, strategy games based on the Europa Universalis engine, focusing on the feudal kingdoms of Europe from 1066 to 1419 A.D. The map includes Europe to the Ural Mountains in the east, and includes parts of Persia, the Arabian Peninsula and North Africa. Hearts of Iron 2 Complete combines Hearts of Iron 2, Hearts of Iron 2 Doomsday and Doomsday Armageddon. These are World War II-themed games that let you play one of over 175 countries through World War II and … World War III. First the Allies will clash with Axis countries, then the Allies go toe-to-toe with the Soviet Union in Europe. System requirements call for Mac OS X 10.4 or later, G3/500MHz or faster (Intel included), 256MB RAM, and varying amounts of hard drive space depending on the pack.